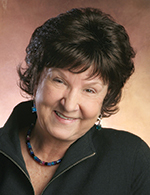 H. Lynn Erickson, Ed.D., is an independent consultant assisting schools and districts with concept-based curriculum design and instruction. During the past 20 years Lynn has worked extensively with K-12 teachers and administrators on the design of classroom and district level curricula aligned to academic standards and national requirements. She was a consultant to the International Baccalaureate Organization for the development of the Middle Years Programme—the Next Chapter. Lynn is the author of three best-selling books, Stirring the Head, Heart and Soul: Redefining Curriculum and Instruction, 3rd edition ©2008; Concept-based Curriculum and Instruction: Teaching Beyond the Facts, ©2002; and Transitioning to Concept-based Curriculum and Instruction: How to Bring Content and Process Together, co-authored with Dr. Lois Lanning, © 2014, Corwin Press Publishers. This publication, co-authored with Lois Lanning and Rachel French is the 2nd edition of Lynn’s popular book, Concept-based Curriculum and Instruction for the Thinking Classroom: Teaching Beyond the Facts. She also has a chapter in Robert Marzano’s book, On Excellence in Teaching, ©2010, Solution Tree Press. Lynn is an internationally recognized presenter/consultant in the areas of concept-based curriculum design, and teaching for deep understanding. She has worked as a teacher, principal, curriculum director, adjunct professor, and educational consultant over a long career. In addition to her work in the United States, Lynn has presented and trained educators across the world in different regions and countries including Asia, Australia, South America, Canada, the United Kingdom, Finland, Germany, the Netherlands, the United Kingdom, Switzerland, Austria, China, Saudi Arabia, United Arab Emirates and Cyprus. Lynn currently lives in Everett, Washington with her family. She and Ken have two children, and two grandsons, Trevor and Connor, who continually stir her heart and soul.